"Local trade. This is one excellent vehicle; 4x4 clean and when I say LOW miles I mean LOW miles ONLY 86k. 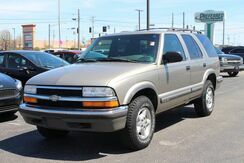 -- Justin Pearson" We are confident that you will not find a nicer 1999 Blazer. This is a 4.3 V6 with a perfect interior and spotless exterior. This "one of a kind" blazer will be gone soon. Stop by our Illinois Rd location and see it in person. This SUV gives you versatility, style and comfort all in one vehicle. This 4WD-equipped vehicle handles any condition on- or off-road with the sure footedness of a mountain goat. With unequaled traction and stability, you'll drive with confidence in any weather with this Blue 2003 4WD Lexus RX 300 . One of the best things about this Lexus RX 300 is that it has low, low mileage. It's ready for you to truly break it in. There are many vehicles on the market but if you are looking for a vehicle that will perform as good as it looks then this Lexus RX 300 is the one! Preferred Auto Illinois Road is honored to present a wonderful example of pure vehicle design... this 2003 Chevrolet Tahoe LS only has 151,229mi on it and could potentially be the vehicle of your dreams! This SUV is a superb example of what a tough, work focused vehicle should be. Exceptional towing, acceleration and torque will help you get the job done. This Chevrolet Tahoe LS comes equipped with 4 wheel drive, which means no limitations as to how or where you can drive. Different terrains and varying weather conditions will have no effect as to how this vehicle performs. The incredibly low mileage and painstaking upkeep on this Chevrolet Tahoe makes it a once-in-a-lifetime deal that won't last long! Call us today to reserve your test drive! You could keep looking, but why? You've found the perfect vehicle right here. 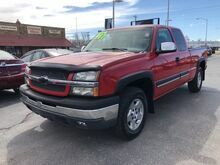 Preferred Auto Fort Wayne State is pleased to be currently offering this 2004 Chevrolet Silverado 1500. This 4WD-equipped vehicle will handle majestically on any terrain and in any weather condition you may find yourself in. The benefits of driving a four wheel drive vehicle, such as this ChevroletSilverado 1500 , include superior acceleration, improved steering, and increased traction and stability. 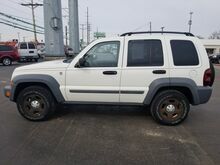 This 2005 Jeep Liberty has been SERVICED AND RECONDITIONED and also comes with FREE CAR WASHES FOR LIFE!! 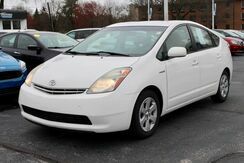 This 2006 Toyota Prius is offered to you for sale by Preferred Auto Fort Wayne State. Why spend more money than you have to? This Chevrolet Impala will help you keep the extra money you'd normally spend on gas. You can finally stop searching... You've found the one you've been looking for. The quintessential Chevrolet -- This Chevrolet Impala LT 3.5L speaks volumes about its owner, about uncompromising individuality, a passion for driving and standards far above the ordinary. A truly breathtaking example of pure vehicle design achievement...this is the vehicle of your dreams! You can find this 2006 Ford Taurus SEL and many others like it at Preferred Auto Illinois Road. This vehicle has extremely low mileage on the odometer, so while it's pre-owned, it's practically new. This is the one. Just what you've been looking for. The Ford Taurus SEL will provide you with everything you have always wanted in a car -- Quality, Reliability, and Character. Just what you've been looking for. With quality in mind, this vehicle is the perfect addition to take home. 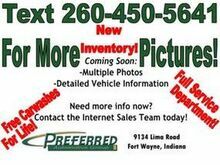 Preferred Auto Fort Wayne State has a wide selection of exceptional pre-owned vehicles to choose from, including this 2007 Ford Econoline Wagon. The Econoline Wagon XL has been lightly driven and there is little to no wear and tear on this vehicle. The care taken on this gently used vehicle is reflective of the 142,603mi put on this Ford. There is no reason why you shouldn't buy this Ford Econoline Wagon XL. It is incomparable for the price and quality. Ford's traditional full-size Econoline vans have long been overlooked in favor of minivans and large SUVs, but the line still stands as one of the best options for those who have to regularly tow or haul heavy loads, and it boasts a variety of interior configurations. Plus, the Super Duty E-350 may cost less than many full-size SUVs with similar towing capability. 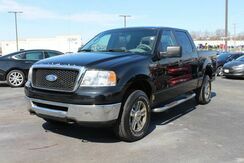 This 2007 Ford F-150 has been SERVICED AND RECONDITIONED and also comes with FREE CAR WASHES FOR LIFE!! This outstanding example of a 2007 Mazda CX-7 Touring is offered by Preferred Auto Fort Wayne State. In their original incarnation, SUVs were chiefly owned by folks who valued "utility" above "sport." Not anymore! The Mazda CX-7 Touring redefines the SUV and makes the perfect "all around" family companion. This vehicle has an added performance bonus: AWD. It improves handling on those winding back roads, and gives you added safety and control when driving through wet and snow weather conditions. One of the best things about this Mazda CX-7 is that it has low, low mileage. It's ready for you to truly break it in. 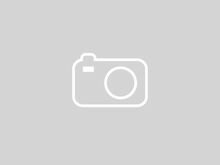 The new 2007 Mazda CX-7 stands out from most sport-utility vehicles by offering a sport-sedan driving experience paired with the straightforward utility of an SUV. The direct-injection, turbocharged engine offers more performance than many V6 competitors along with impressive fuel economy. The Mazda CX-7 also has a very versatile interior with plenty of storage options, and one of the longest cargo floors among comparatively sized SUVs. The 2008 Ford F-150 has the widest range of body configurations in the industry. Ford also says that there are more Ford trucks on the road with more than 250,000 miles. Interesting features of this model are reputation for durability, range of models for specific uses., and towing and hauling ability. One of the best things about this Pontiac Grand Prix is that it has low, low mileage. It's ready for you to truly break it in. A truly breathtaking example of pure vehicle design achievement...this is the vehicle of your dreams! Pontiac's 2008 Grand Prix combines a very roomy interior and smooth ride with two different engines and reasonably agile handling. And, with either engine, it returns surprisingly good fuel economy. It's also one of the lowest-priced cars to offer a head-up display. This Jeep Wrangler offers all the comforts of a well-optioned sedan with the utility you demand from an SUV. 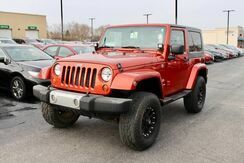 With 4WD, you can take this 2009 Jeep Wrangler to places roads don't go. It's all about the adventure and getting the most enjoyment out of your new ride. The rugged Jeep Wrangler maintains a strong cult following of off-road purists. It's a great choice for those who have an active, outdoor lifestyle that involves frequent off-roading and tough terrain. With its last full redesign in 2007, the Wrangler picked up modern safety features and a more refined driving experience without losing its distinct character. What's more, Jeep claims that the Wrangler is the only true 4x4 convertible, which sets it apart from anything else in its class. This model sets itself apart with Tough off-road ability and rugged style.